FloorMate Grout Cleaning Solution 16 oz. Floormate Tile and Grout Plus 2X Hard Floor Cleaning Solution 32 oz. Removes heavy soils and household stains. Machine cleaning concentrate is specially formulated for use with the Hoover FloorMate cleaner for safely cleaning grout on glazed ceramic tile, marble, vinyl, and stone. 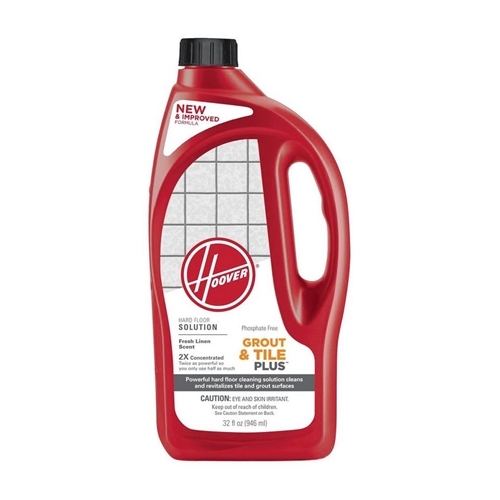 Removes tough houshold stains to help restore original grout color.